If you’ve been on the hunt for the 9.7-inch iPad (2018) with first-generation Apple Pencil support, the following could be the deal you’ve been waiting for. Apple is now listing the 32GB Wi-Fi version of the refurbished 9.7-inch iPad (2018) for $359 CAD in ‘Gold,’ ‘Silver,’ and ‘Space Grey.’ To put this price in perspective, the 9.7-inch iPad (2018) is typically priced at $429 CAD. This means that the refurbished version offers a savings of $70. Apple is also selling the 128GB Wi-Fi version of the 9.7-inch iPad (2018) for $469. This is roughly $80 off its regular $549 price tag. 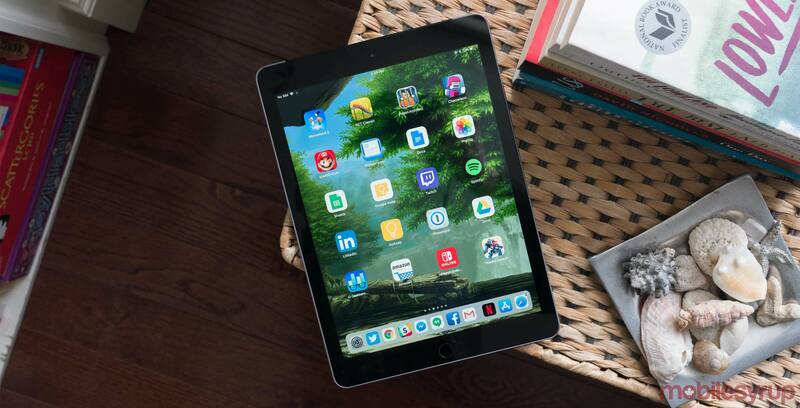 Though Apple positions the 9.7-inch iPad (2018) as an education-focused tablet, I’ve frequently contended that its price tag is likely a little too steep for most education institutions. That said, if you’re using an older version of Apple’s iPad, or even a first-generation Pro, the 9.7-inch iPad (2018) is a worthwhile, more affordable option. For more on the 9.7-inch iPad Pro (2018) check out my review of Apple’s entry-level tablet.